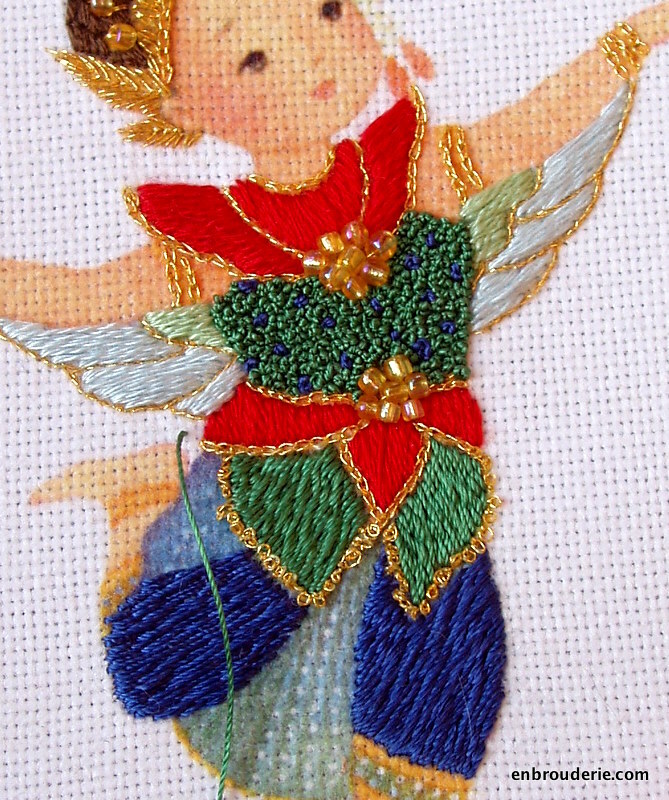 Well, I did a few more french knots after all – see the edge of the green at the top of the skirt? I decided to work most of the skirt in Romanian couching. It’s directional, so you can give the fabric a sense of movement, and it fills space well. Here is a closer picture – take a look at how different the textures can be. The wings and the skirt are both silk, just different kinds! This entry was posted in My work, Surface embroidery and tagged embroidery, french knots, romanian couching, silk, thailand. Bookmark the permalink. You are so talented and your work is very neat! thank you so much! I am really glad you are enjoying it. 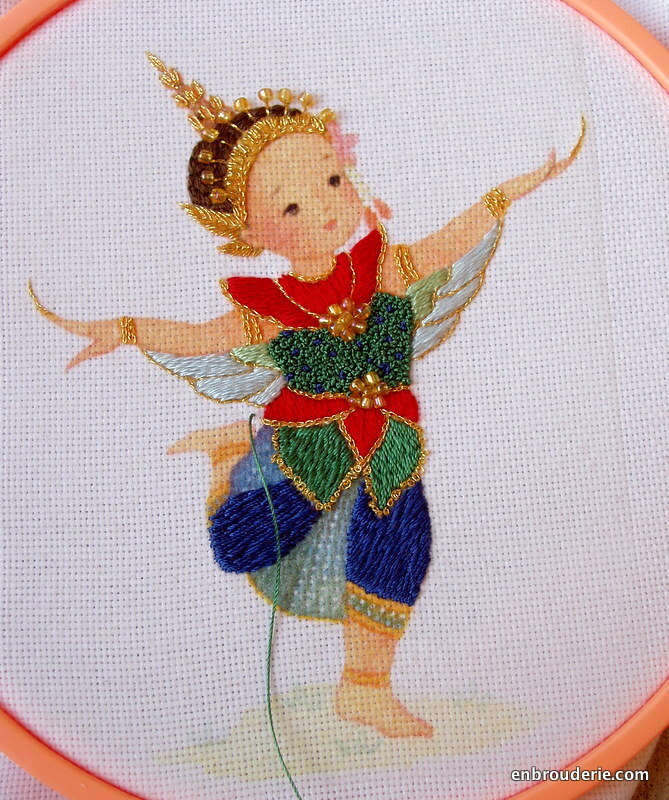 The little Thai Dancer is enchanting!! so precious!! Beautiful colors!! Thank you so much for the silk, Monique! The colors are perfect for this design! It’s working beautifully, Hannah, well done! This is one of the most beautiful embroidery pieces I’d ever seen.Congrats! Thank you!!!! I am glad you like it so much.